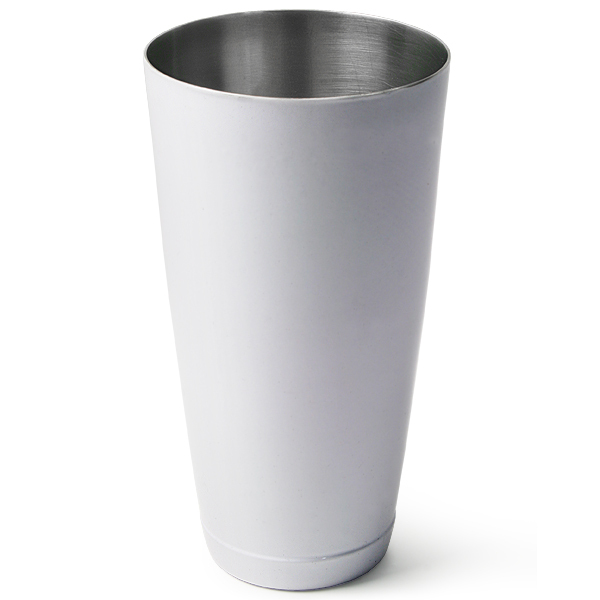 This no-fuss shaker tin comes in a classic white powder-coated finish, providing a blank canvas for your colourful cocktail creations! 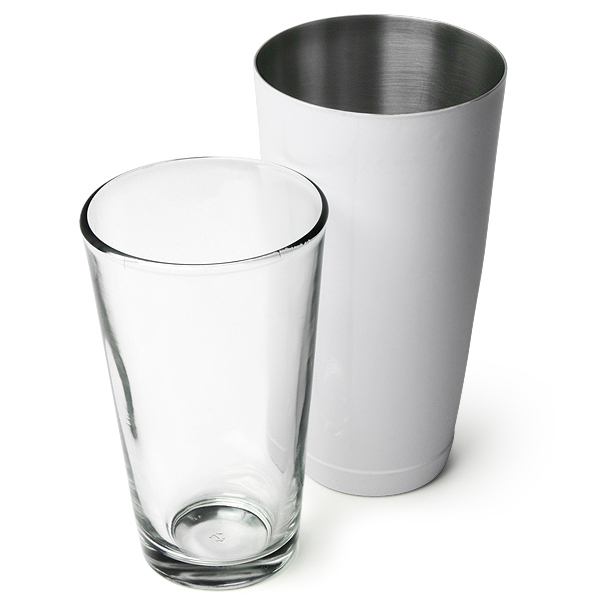 Simply combine this professional quality Boston Shaker tin with the accompanying glass and you've got an unbeatable combination for cocktail perfection! 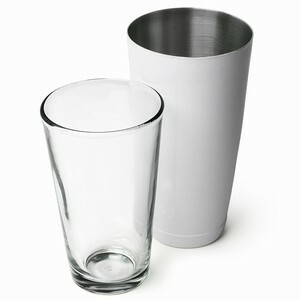 "If you are looking for a top quality Boston shaker, here it is. 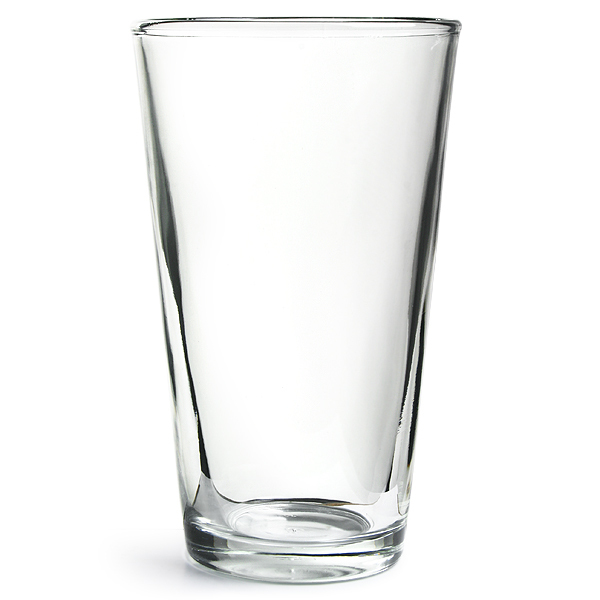 Tin does not feel cheap, can bend slightly with applied pressure for an easy release of the Boston glass.Glass is strong and has a bit of weight to it. There is a good depth with the Boston glass inside the tin. Shaker is secured once locked, no leaking of liquids while shaking.Would highly recommend this shaker for anyone looking to enhance their skills or to make great cocktails with. "This tin has a great finish and looks great in any bar. I use it at my parties and every time this is a real conversation starter :) Plus it's a great weight to flare with. The glass looked and feels really strong. 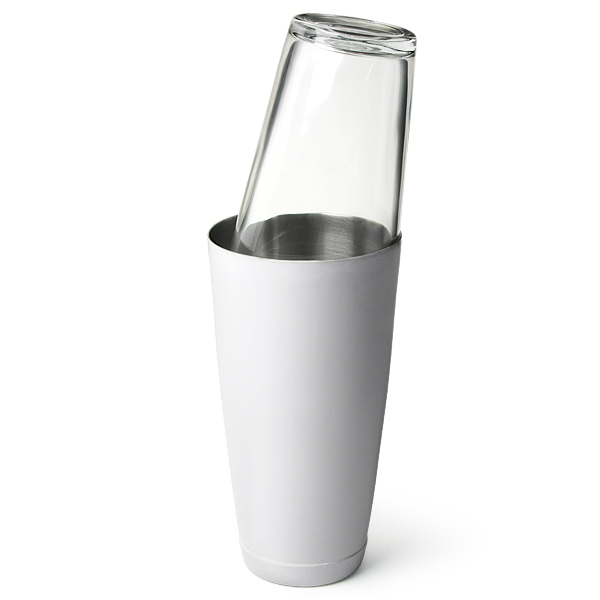 I can't recommend this Professional Boston Cocktail Shaker White enough."